(SPOT.ph) Lasagna is the ultimate comfort food: layers upon layers of noodles, meat, tomato sauce, and gooey cheese—what’s not to love? 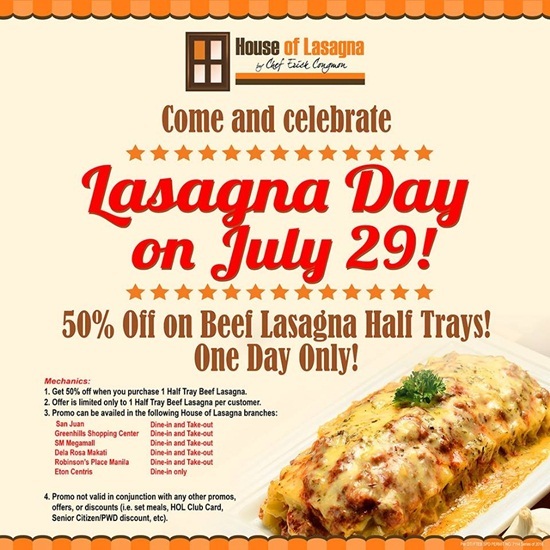 Time to get really comfortable because today, July 29, is National Lasagna Day, and House of Lasagna has a treat for you! You can score their bestselling Beef Lasagna at 50% off the original price (a half tray usually fetches P850), so you're getting that big serving of pasta for just P425. 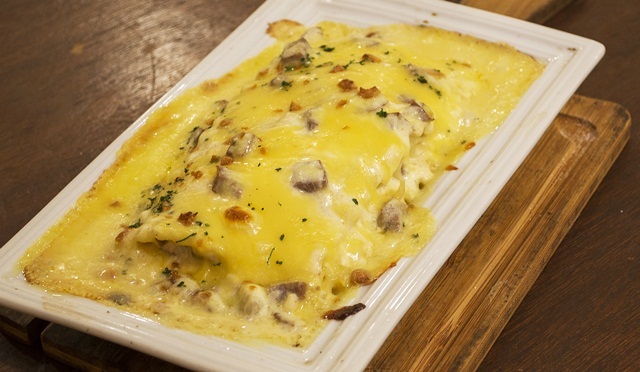 House of Lasagna’s Beef Lasagna is ranked No. 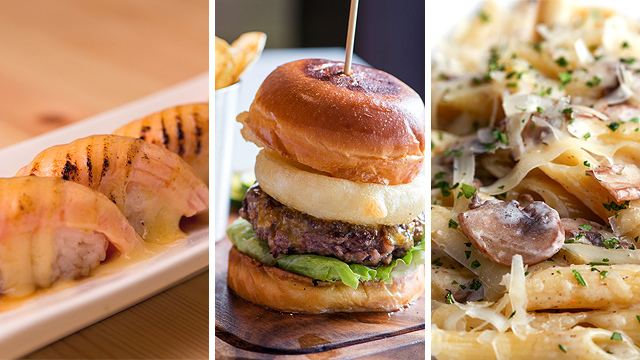 2 on SPOT.ph’s Top 10 Beef Lasagnas, which is why we’re ecstatic over this deal. It’s served straight out of the oven, the delicious scent hitting you right away, and the servings are quite generous. Once you’ve had a bite, you won’t be able to stop gobbling up its cheesy, saucy, bubbling hot goodness. You’re welcome. For more information on this deal, visit House of Lasagna’s official Facebook page. 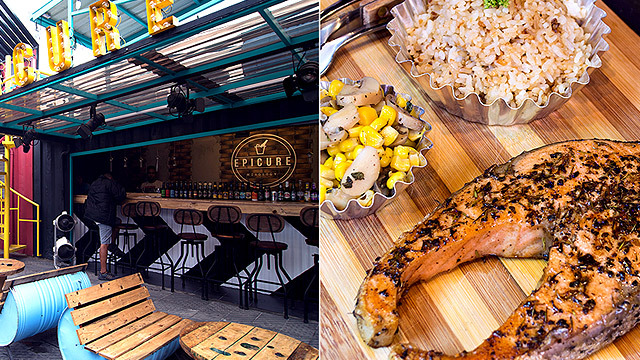 Photos courtesy of House of Lasagna.